The following markets are serving Local Service Ads: – This may update or put a location in the form above to see more area. 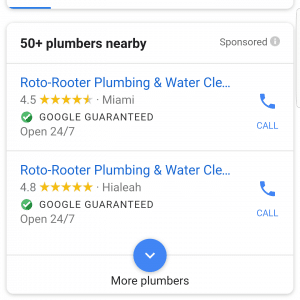 What do Google Local Guaranteed Service Ads Look Like on Mobile? (Note – I didn’t see these ads appear for water damage in my area so in the example, plumbing was used. 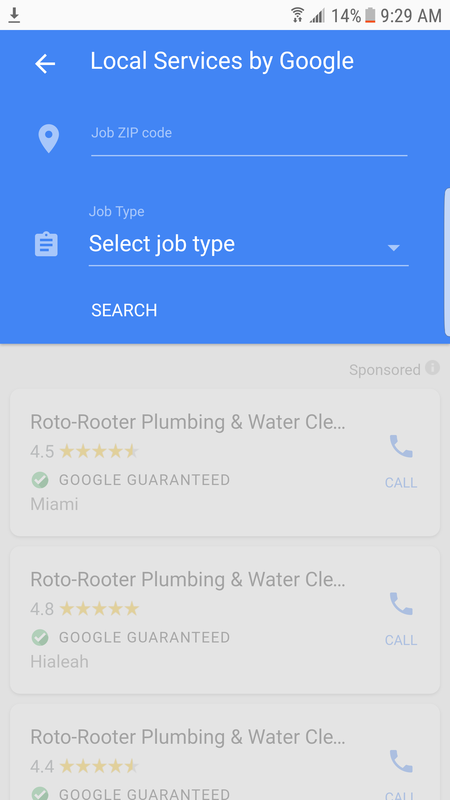 Google Local Service ads are being offered in a few markets. If you have seen these ads, they change the way local ads appear. 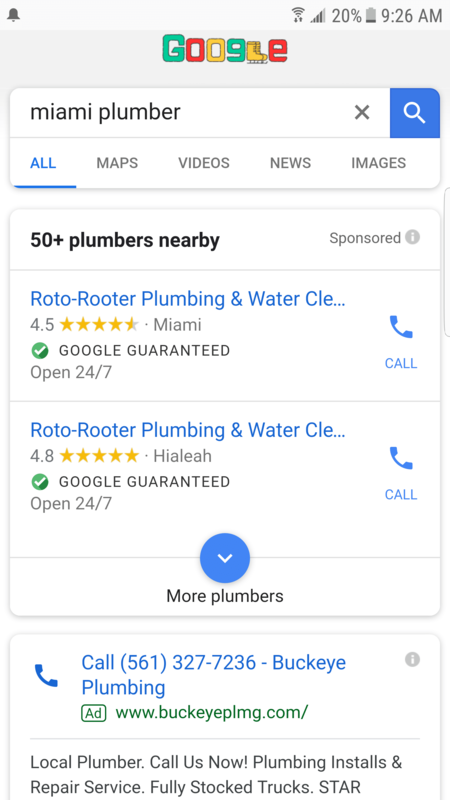 Local Text Ads and Ads Placed in the 3 Pack of Maps kind of blended in with the search results pages for local searches. 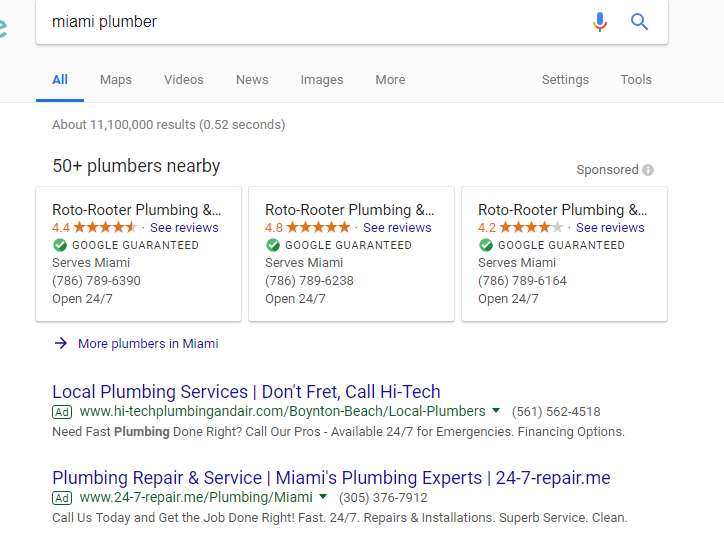 Local Service Ads have HUGE REAL ESTATE at the top of the page on Google Adwords (Pay-Per-Click), Maps & Organic Listings. What does it mean to be Guaranteed by Google? 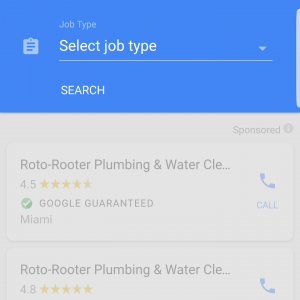 If your customers aren’t satisfied with work quality, Google may refund up to the amount paid for jobs booked through Local Services ads, with a lifetime cap of $2000. 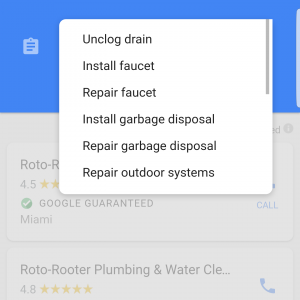 Because local service based business like plumbers and locksmiths go to a customer’s home, Google wants to check out reputation of the business. Google will perform background check of all employees of the business who serve customers at their homes at no cost. Google states that their vendor, Pinkerton Consulting and Investigations Inc, will secure the background checks to make sure employees are legit. 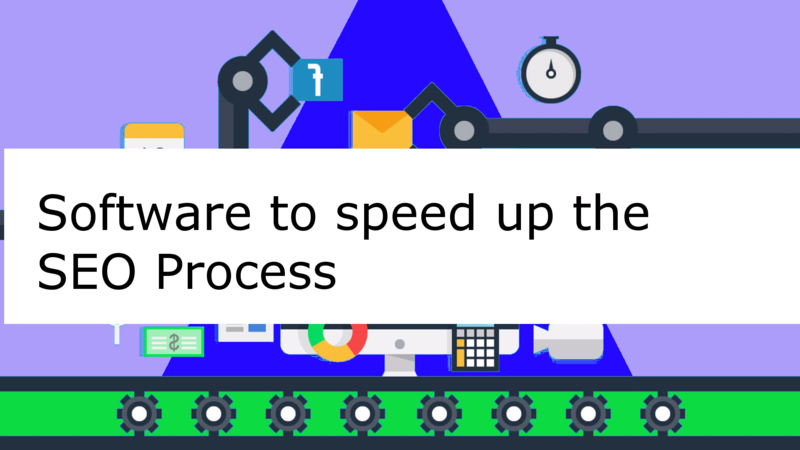 The application process and extensive background checks weed out the bad businesses. This allows Google to cover claims up to the job invoice amount, with a lifetime cap of $2,000. Google always said they were out for a better user experience. Imagine the conversion sucking clicks, interactions or calls these ads will get. 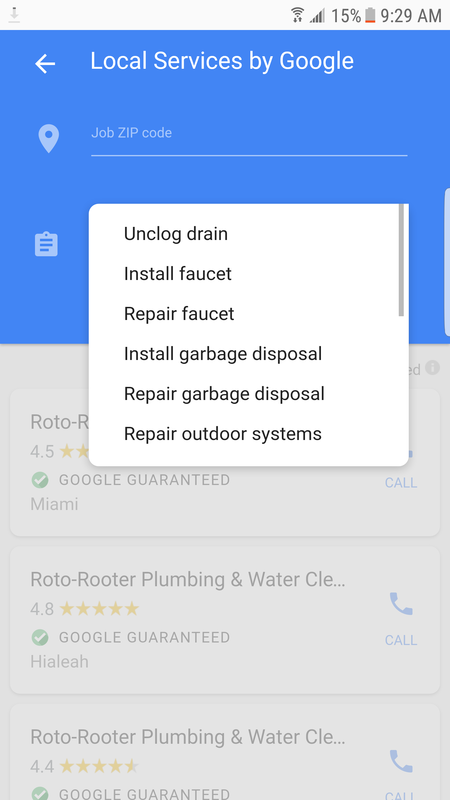 The only left above these local guaranteed service ads is the search box. What About Service Based Ads on Mobile Devices? The mobile ads are right in your face! These guaranteed service based ads will do everything but dial the phone by itself. Customers choose type of work.